Stephen Segerman and Craig Bartholomew Strydom discussed their Rodriguez journey with Andrew Donaldson at the Open Book Festival in Cape Town last night. 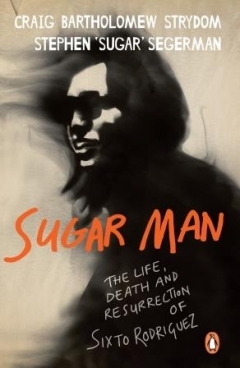 Segerman and Strydom have released a book, Sugar Man: The Life, Death and Resurrection of Sixto Rodriguez, which is based on their award-winning documentary Searching for Sugar Man. 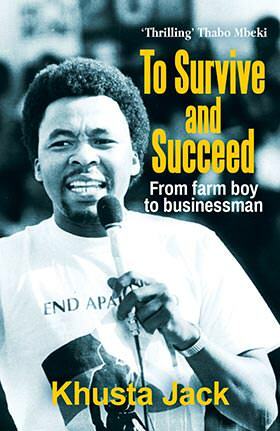 The book tells Rodriguez’s story, as well as those of Segerman, Strydom and the film’s director Malik Bendjelloul, who tragically committed suicide in 2014. “Are we going to see any new recordings from Rodriguez any time soon?” Donaldson asked. “Well, that’s a very interesting question,” Segerman said. “You know, Americans, sorry if there are any in the audience, but we had this one album for 40 years, then we find there’s another one, and we listened to that for a bit, and that’s sufficient. Americans hear Cold Fact and After the Fact, and they’re like, ‘When’s the new album coming out?’ Come on, man, I mean … spend 20 years listening to these albums! “There are songs,” Strydom interjected. “Remember when I interviewed [Cold Fact co-producer] Mike Theodore on the phone he told me that he has some recordings of the recording session that he was working on with Rodriguez when I called in 1997. But Mike Theodore refuses to release them. He never let me listen to them, nor did he agree to let me listen to them. In fact, he insinuated that it would be unethical for him to do so without Rodriguez’s blessing because these were just rough recordings. Sadly, while I would kill to hear those rough recordings, I have not heard them. “I said, ‘What happened?’ and he said, ‘You happened.’ And that was it, they stopped recording. Rodriguez did record a live album in Australia, but as Strydom pointed out he only agreed for a one-year licence. “There’s also a huge court case going on,” Segerman added. “People are suing people about Rodriguez. “Rodriguez signed for one label, and then he recorded for a second label while he was still signed to the first label, so the second label is suing the first label and the first label’s suing the second label, and is countersuing Rodriguez, blah blah blah. The fact is Rodriguez doesn’t want to bring out songs if he doesn’t know who he’s even signed to. An audience member commented on the racial dynamics that were evident in the film, where all the audience members at Rodriguez’s comeback concert were white, and asked the authors whether his popularity had become more widespread. “Well, in apartheid South Africa, rock, pop, soul and jazz were really restricted to a white audience, so we always used to assume that Rodriguez was only popular to that audience,” Segerman said. 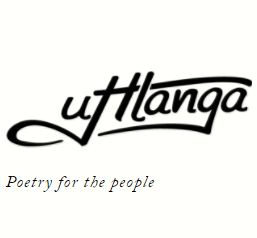 The festival will be covered by Books LIVE editor Jennifer Malec (@projectjennifer), deputy editor Helené Prinsloo (@helenayp), assistant editors Erin Devenish (@ErinDevenish811) and Annetjie van Wynegaard (@Annetjievw), and Jennifer Platt (@Jenniferdplatt) of the Sunday Times. Keep an eye on our Facebook page (Facebook.com/BooksLIVESA) and our Twitter profile (@BooksLIVESA) for more information and photographs!